Help and support teachers at a rural school in the mornings and get involved with sports coaching in the afternoons; sessions which the children really look forward to which help focus their minds and provide a beneficial and rewarding activity. Make a real difference to the lives of some of the world’s poorest children. Help with sports coaching sessions such as volleyball, football, netball and rounders. 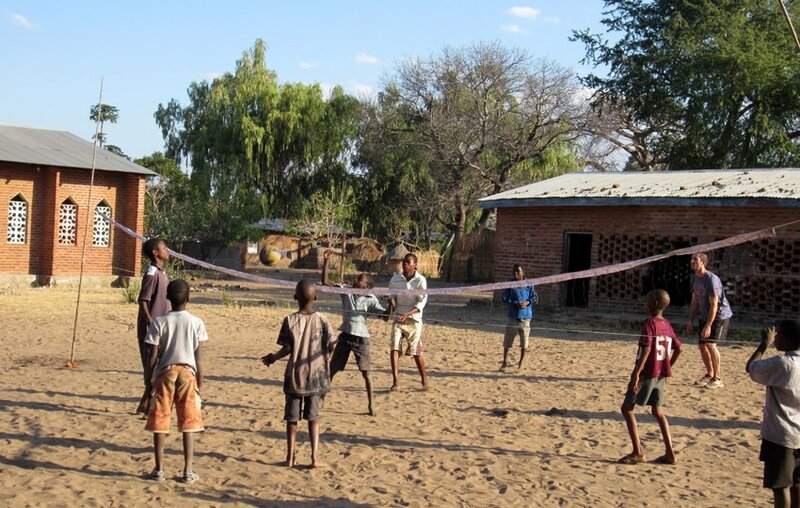 Play football matches against the village team. 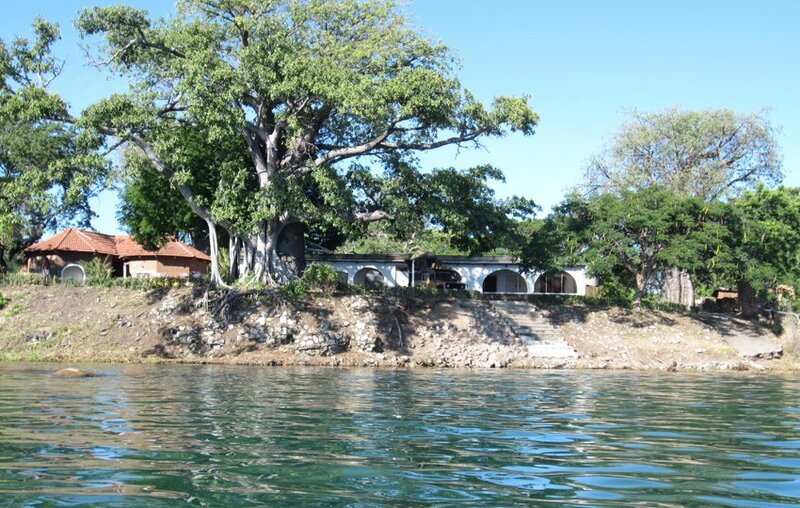 Stay a lakeside volunteer house, with views over beautiful Lake Malawi. Feel part of the community and experience the hospitality and culture of the friendly community. Malawi is one of the poorest countries in the world, with over half of the population living below the poverty line and an average daily income of less than 50 pence. Many schools have a ratio of between 100 and 150 students to each permanent teacher, so these schools really need your support. All children in Malawi are entitled to free primary school education. However, this is often of a low standard, particularly in rural areas, due to very large class sizes, which may exceed 100 students. Resources are extremely limited in some schools; children will sit on the floor and often do not have exercise books, pens, or pencils. There are often not even enough classrooms, so younger classes may be taught outside, under the shade of a tree, with children writing their answers in the dirt. 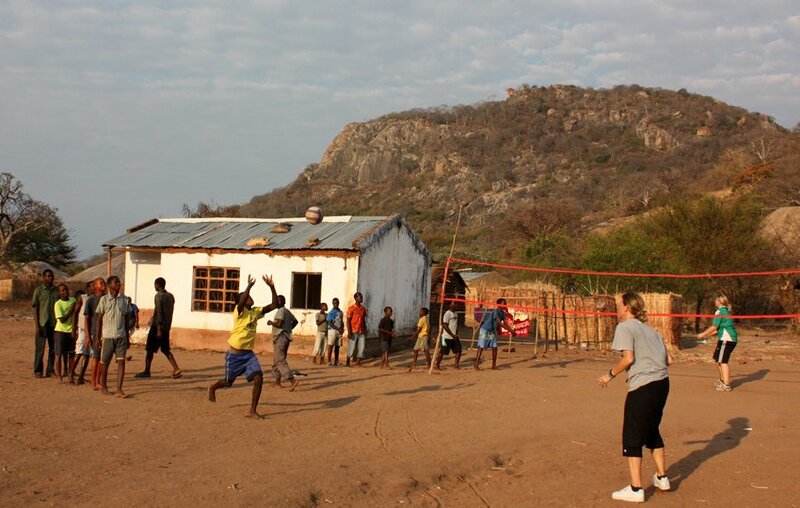 This project is based in the Mangochi District at the southern end of Lake Malawi, where there are a number of rural schools that are seriously under-funded. These schools do not have the resources or sufficient teachers for the huge number of children that attend each school. 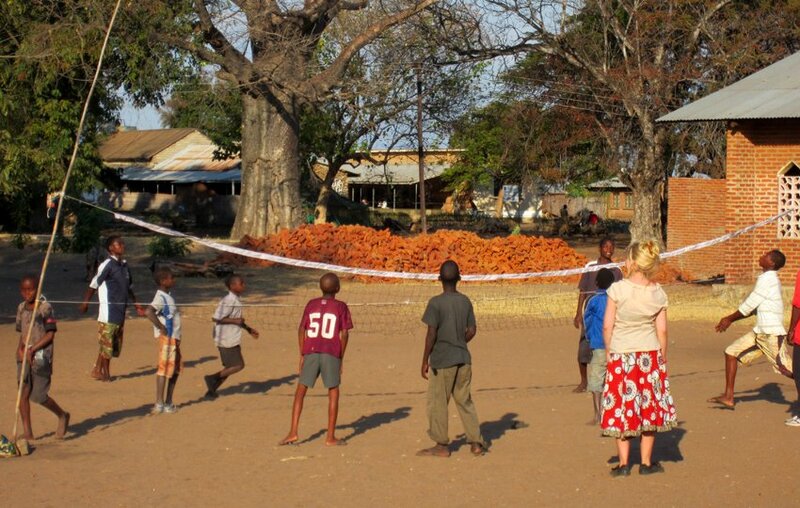 This is why we need your help as a teaching and sports volunteer in Malawi. English is an important subject that you can help to teach effectively, as well as other core subjects, including maths and science Noticeable improvement in exam results have been made at the schools in which volunteers have been assisting, so you really can make a difference. Afternoon sports sessions are really popular with the children. They help to focus the children’s minds and give them something fun to look forward to in the afternoons! olunteers will be able to really get involved with the project by helping to improve the education of children that are eager to learn. As well as teaching the children you will also be able to teach adult education classes, providing skills development to rural communities and help teachers with their computer skills, as part of our initiative to introduce IT to schools and communities. You will assist in one of the local primary schools, unless you have a lot of teaching experience, in which case we may ask you to assist at a secondary school. Assist with curriculum subjects in the mornings, including English, maths, and sciences and in the afternoons you can get involved with the sports coaching sessions such as volleyball, football, netball and rounders. You’ll be able to help organize sporting activities, teach new sports to the children, coach them in their sports sessions and even play football against the local team – don’t expect to win! You will generally finish at the school about 11.00 in the morning and take your lunch break back at the volunteer house, which will give you a chance to cool down during the hottest part of the day! You will then typically return to school at about 15.00 for the sports coaching. Friday afternoon is free time, as you may be departing on an organised weekend excursion. Sports sessions are great fun and can be very rewarding. 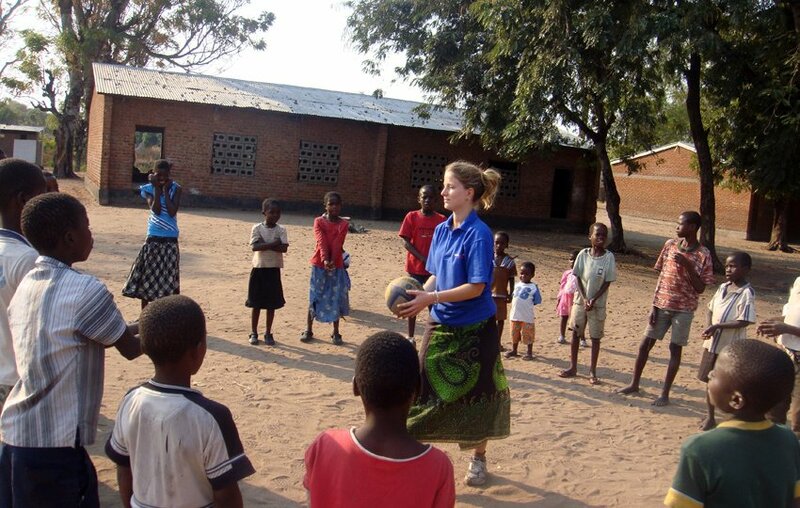 For boys football is the most popular sport in Malawi, as in most of Africa, and for girls it is netball. Teams usually meet every afternoon to train or play matches. With your enthusiasm these new skills, drills and techniques will really benefit these budding future stars! The involvement of volunteers encourages more children to participate in sport and the training sessions. This is important in terms of their health and fitness, personal development, such as learning team skills, and involving them in a positive activity in their free time. Occasionally local tournaments can be organised between nearby villages or schools, which will provide your team an opportunity to show off their new skills and fitness. Other sports that you may coach or get involved with include cricket, volleyball and swimming. If you have a particular sport that you would like to coach please let us know. Please note that only basic equipment is available for these sports and due to the climate, conditions and everyday use the teams are always in need of new items, especially footballs. If you would like to and are able to bring a football or sports equipment with you it will be very much appreciated by us and your team! Be prepared that schools in Malawi are not at all like those within the UK, or your home country. There is relatively little structure and resources are extremely limited, so you will need to be creative in planning your lessons! You may have little more than chalk and a blackboard and if you have this you’re off to a good start. Do not expect all of your students to have exercise books and pens, or pencils either. Initiative, motivational skills, flexibility, patience and a positive sense of humour are all useful traits to have as a teaching volunteer in Malawi. If you would like to bring any teaching aids or educational materials with you these will be gratefully received and useful. Please speak to the project co-ordinators about anything you have brought as a donation on arrival to ensure that it is given in a fair and appropriate manner. You should be also aware that corporal punishment is permitted in Malawi and it is not your place to get involved should you witness this. If you are unhappy with a situation, simply remove yourself from it. I had an incredible month in Malawi, really enjoying living in an African culture and embracing all it had to offer. The people were one of the highlights of the project, with everyone being so warm and friendly. Augustine and Sam did a great job at Mlambe Cottage making us feel very welcome from the outset, and making every aspect of living in Malawi less daunting and very fun. My project itself, teaching at Naukundu P.S. and doing sport and extra activities in the afternoon at the same place, was absolutely amazing. I was teaching the STD6 class, and loved getting to know the children who were so motivated and focussed, and the teachers at the school who were so friendly – especially Catherine and Mr Andifolo! They even helped me organise a football game between my class and STD7 for my penultimate day at the school. The afternoon activities were very enjoyable, with the children always up for having some fun, and the translators making them a lot easier for both the volunteers and the children. Thank you very much for all your help prior to departure, and please pass on my thanks to Sam and Augustine who made the whole experience in Malawi one I will remember for a very long time. It was also great the way that NAV facilitated the weekend excursions, and I had some amazing times at the weekends, including Augustine’s wedding in Zomba – certainly a once in a lifetime experience! Thanks again for the incredible month which I had, in a country which I certainly hope to return to! A very nice experience, I would do it again if possible. 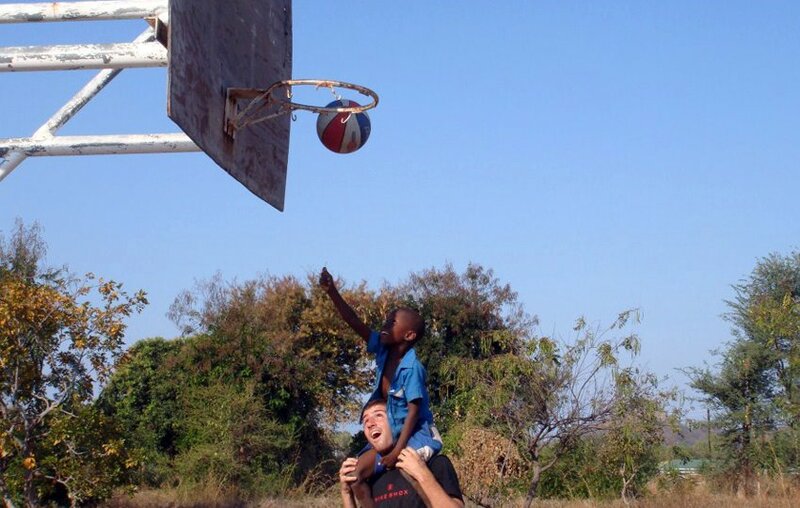 I enjoyed seeing the smiling kids everyday and playing football with the village team. The bedrooms in the volunteer house are large shared rooms, generally with bunk beds and mosquito nets are provided. They either have en-suite facilities, or a shared bathroom, with western style flush toilets and showers. The water is cold, but most of the time in Malawi this is quite welcome after a hot day volunteering. The house also has electricity, but power cuts are not uncommon and can last for a couple of hours, or occasionally longer.